Two Bettys is an eco-friendly green cleaning service headquartered in the Twin Cities. 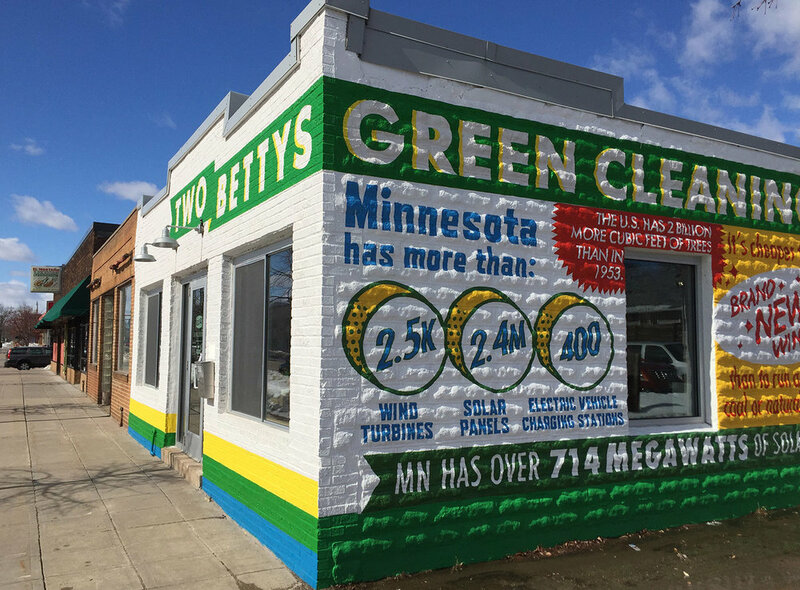 When they moved into a new building in Minneapolis, Two Bettys was keen to shift the conversation around climate change from “doom and gloom” to something more pragmatic and hopeful. I designed the Good News mural to highlight some of the positive steps Minnesota is taking to combat global warming. Every few years the mural will be updated with new information, which will be layered over the previous statistics.